A world without the North American Free Trade Agreement would be sure to disrupt the Canadian auto supply chain. But just exactly what would happen if the United States decides to exit the agreement remains an open question with no clear answers. That’s because that country’s departure from NAFTA, a possibility that became more realistic following the most recent round of renegotiations, is virtually without precedent, analysts say. NAFTA negotiators met in early December and parted ways for the holidays Dec. 15. They did so without signing off on any chapters after a week of talks. They will reconvene in Montreal beginning Jan. 23, 2018. Canada and Mexico have found unacceptable, just as most automakers and suppliers have. “It would seriously disrupt the auto-supply chain, and it would [put] North American producers in all three countries at a disadvantage against the world,” said Douglas George, consul general of Canada in Detroit. U.S. President Donald Trump has repeatedly threatened to withdraw the United States from NAFTA, and sharp disagreements over the American trade team’s proposals have made that possibility more realistic. It is unclear what would happen if Trump withdraws the United States from the agreement, but analysts said it would certainly be messy. For one, Trump cannot instantly withdraw the U.S. with the stroke of a pen or the sending of a tweet. He can only withdraw on six months’ notice. federal government in an attempt to keep NAFTA rules in place and to put pressure on Congress to challenge Trump’s authority to pull out of the agreement on his own, seeing as it was only ratified in the United States because Congress approved it. 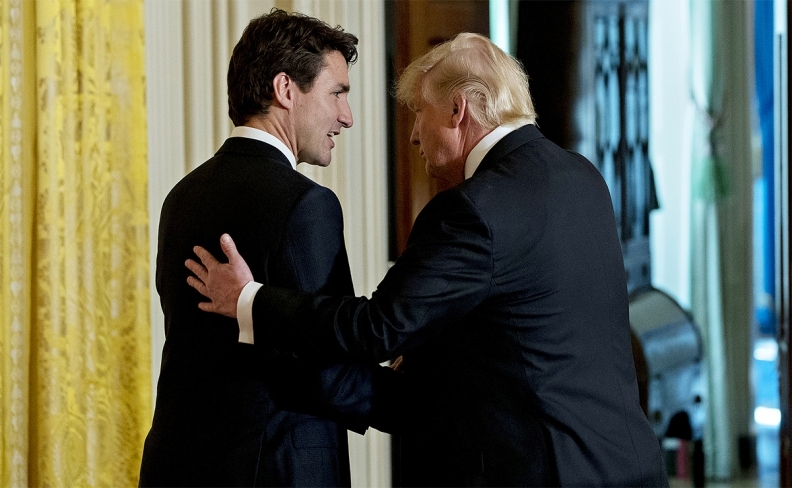 his analysis on NAFTA, but behind the scenes there’s paralysis,” said Christopher Sands, director of the Johns Hopkins Center for Canadian Studies in Washington, D.C. Still, if NAFTA is blown up, analysts said it is likely for the three nations to pursue bilateral trade agreements with each other. For Canada and the United States, their pre-NAFTA free-trade agreement would likely come back into play, though the two sides might try to modernize the agreement. But bilateral deals are seen by many in the automotive industry as less than ideal because the requirements of each deal are unlikely to sync. “Bilateral agreements have some advantages, but the major downside is the potential for rules to not match up perfectly,” Sands said. No matter what happens in renegotiations, Canada, Mexico and the industries that depend on NAFTA are receiving a serious message from Washington: They can no longer assume free trade as a given.